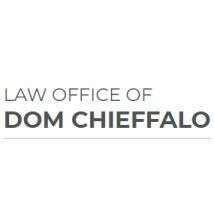 The Law Office of Dom Chieffalo performs the majority of their real estate work in residential Danbury real estate closings and refinances. Attorney Dom Chieffalo guides his clients through every stage of the process from start to finish. The firm also provides pay-off and collection services to lenders in this area. Attorney Dom Chieffalo represents individuals facing felony and misdemeanor criminal charges in Danbury and throughout the state of Connecticut. He vigorously defends his clients' rights on all charges including drug cases, theft, assault, DWI, and more. The Firm provides excellent legal representation in this unique area of criminal law. Drunk driving penalties are severe and attorney Dom Chieffalo will challenge the evidence against you and have your charges reduced or dismissed if possible. The Danbury Law Office of Dom Chieffalo is dedicated to providing residents throughout Litchfield and Fairfield counties in Connecticut with honest answers and cost-effective solutions to their legal concerns.If you have been charged with a DWI offense or would like to speak with an experienced Danbury real estate refinancing attorney, contact the Law Office of Dom Chieffalo today for a Complimentary consultation about your concern.